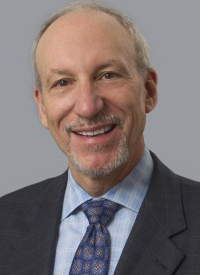 Next-generation sequencing (NGS) has allowed clinicians to prescribe treatment for their patients based on individual genomic abnormalities and Lee Schwartzberg, MD, emphasizes that undergoing such testing at the beginning of a cancer diagnosis is critical to optimizing patient outcomes. In non–small cell lung cancer (NSCLC), for example, there are several driver mutations that are actionable, such as EGFR, ALK, ROS1, and BRAF. Schwartzberg discussed the role of these biomarkers and others emerging in the pipeline in a lecture during the 2018 OncLive® State of the Science Summit™ on Advanced Non–Small Cell Lung Cancer. This includes PD-L1, a marker that experts including Schwartzberg have deemed reliable, yet imperfect. In an interview during the meeting, Schwartzberg, executive director, West Cancer Center, chief, Division of Hematology/Oncology, University of Tennessee Health Science Center, discussed the importance of NGS and the state of biomarker development in the management of patients with NSCLC. OncLive: Please provide an overview of your presentation on biomarkers in NSCLC. Schwartzberg: Biomarkers are critical in the management of NSCLC today because we have drugs specifically designed for a large number of subgroups. There are many patients with NSCLC who have a driver mutation, and many of them are actionable—EGFR, ALK, ROS, and BRAF, for example. We also have biomarkers that are in development, and are already clinically useful to determine the best candidates for immuno-oncology drugs, such as PD-1/PD-L1 antibodies. In the workup of newly diagnosed metastatic NSCLC, it is critical, as endorsed by NCCN, to get a multiplex panel of the specific alterations first, at least the 5 or 6 most actionable—although there are about another 10 that are actionable as well. That can be done either with individual tests or with NGS. One of the interesting things about mutations in NSCLC is that they do not tend to overlap. Therefore, if you have an EGFR mutation, you are unlikely to have a KRAS mutation, which is the most common mutation that is not currently druggable. As we are learning about PD-L1, the science is emerging. We understand that patients who have high levels of PD-L1 expression in their tumor cells are more likely to respond to an anti–PD-1 therapy. Monotherapy can be given to patients who have high levels of PD-L1. Pembrolizumab (Keytruda) as a single agent has shown substantial activity and good progression-free survival in patients with high PD-L1 expression. However, it is not a perfect marker, and we know now that even patients who have no expression of PD-L1 still have some chance of responding if they have advanced NSCLC. That science is evolving, but it is an important test to get. When would you say is the best time to undergo NGS? The best time to undergo NGS for patients with advances NSCLC is at diagnosis. That is the first time it should be done. For a patient who has a targetable mutation, due to the emergence of a mutation that we see frequently in EGFR mutations such as T790M, they must be monitored if they appear to clinically progress. We have new technologies, such as circulating tumor DNA, which can be easily assessed from 1 tube of blood and looking at the plasma. That can be done repetitively now, and those tests are available. Are there any ongoing biomarker-driven trials that you can speak to? The biomarker studies that are very interesting right now in lung cancer are the so-called "umbrella trials," where regardless of what mutation you have, you can receive an available drug. That speaks to doing multiplex testing upfront, and if you find a mutation, there are next generation tyrosine kinase inhibitors of the common mutation, such as EGFR, ALK, and ROS1. Or, for less common mutations, there are drugs that are in clinical trials. An umbrella trial will provide opportunities for patients, regardless of what mutation they have, to go onto a study. Are steps being taken toward developing agents to target these other actionable mutations? They are emerging. For example, one is a HER2 mutation. HER2 amplification is commonly seen in breast cancer, but HER2 mutations occur in a variety of tumors, and in NSCLC, 1% to 2% of patients will have a HER2 mutation. Early data have suggested that drugs targeted against HER2 may be useful in that population. MET alterations are also potentially targetable, and there are a variety of others that are coming out.